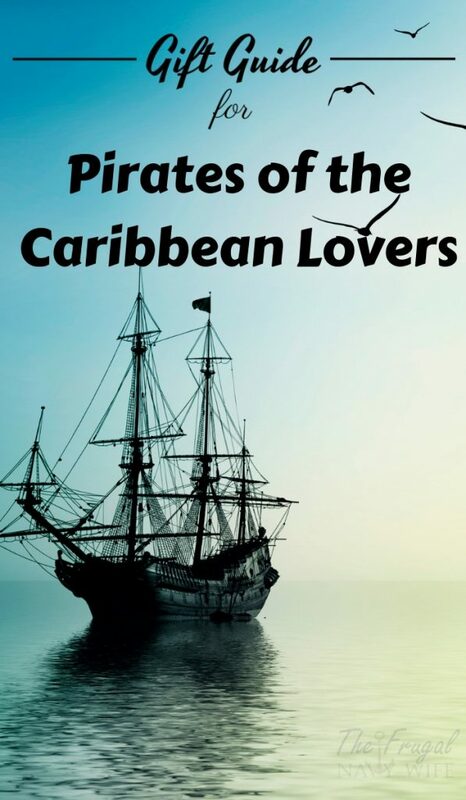 Who doesn't love a swashbuckling pirate? 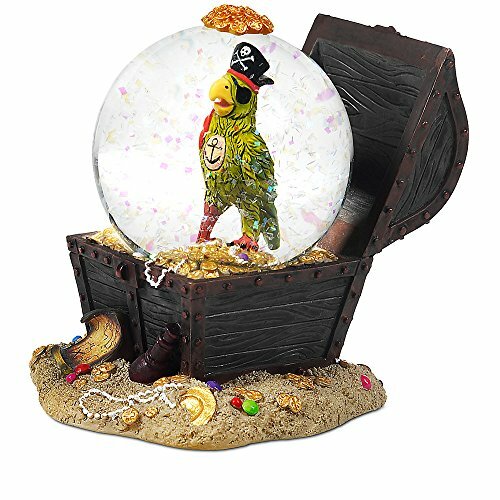 These Pirates of the Caribbean gifts are sure to delight fan of all ages with a bit of something for everyone I am sure you will find the perfect gift from toys to decor and more. 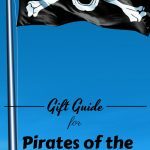 This is one of our many gift guides on our The Ultimate List of the Best Gift Guides page. 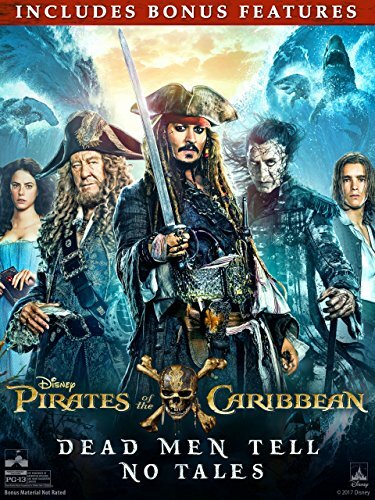 Did your Pirates fan fall in love with the latest movie? 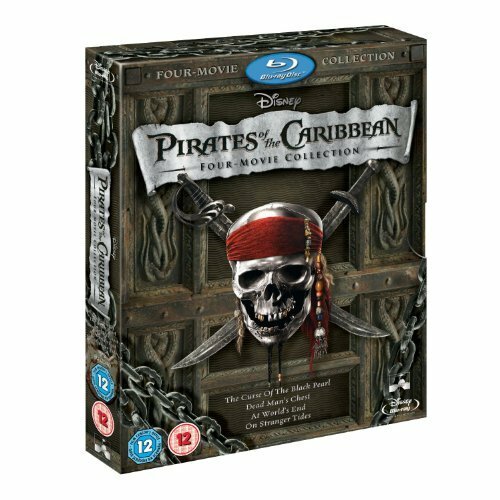 why not snag the Pirates of the Caribbean: Four-Movie Collection so they can catch up with what they missed? 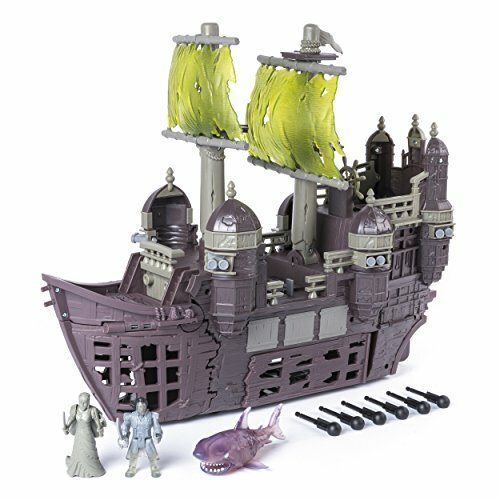 This Pirates of the Caribbean: Dead Men Tell No Tales Silent Mary Ghost Ship Playset is a top toy this year because well what kid doesn't want to act out the fun action scenes on this Ghost ship? 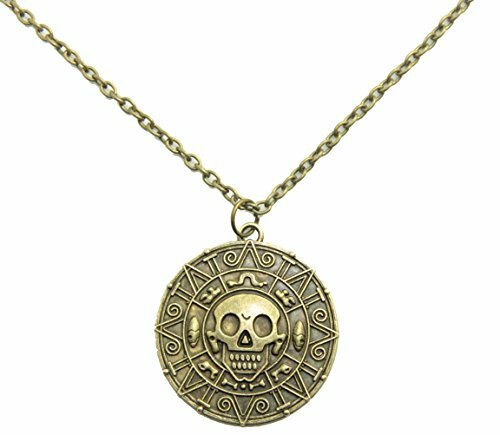 This Cursed Aztec Coin Medallion Necklace Skull Necklace is inspired by the necklace from the Pirates of the Caribbean movies. 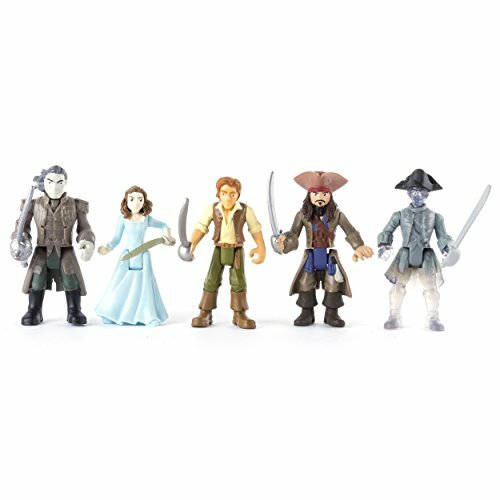 Add these Pirates of the Caribbean: Dead Men Tell No Tales figures to your child's play collection. 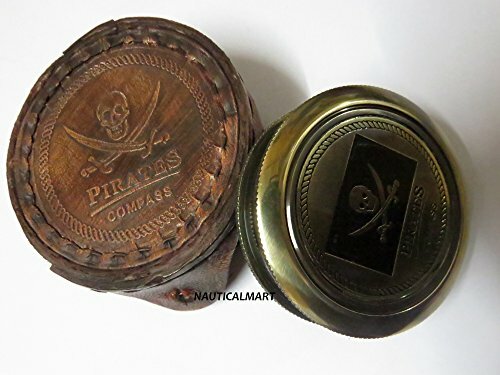 This Pirates of Caribbean Jack Sparrow compass is perfect for any Pirates of the Caribbean cosplay. 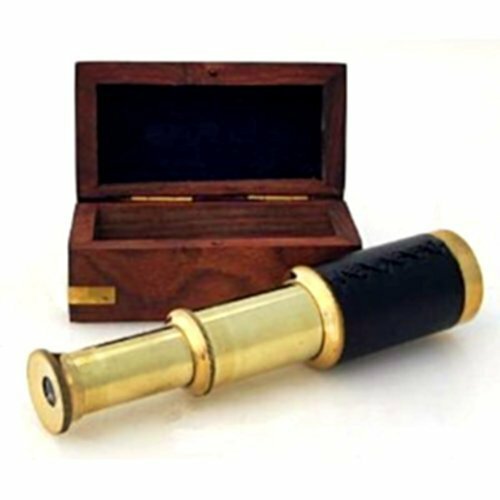 Isn't this 6″ Handheld Brass Telescope with Wooden Box awesome? 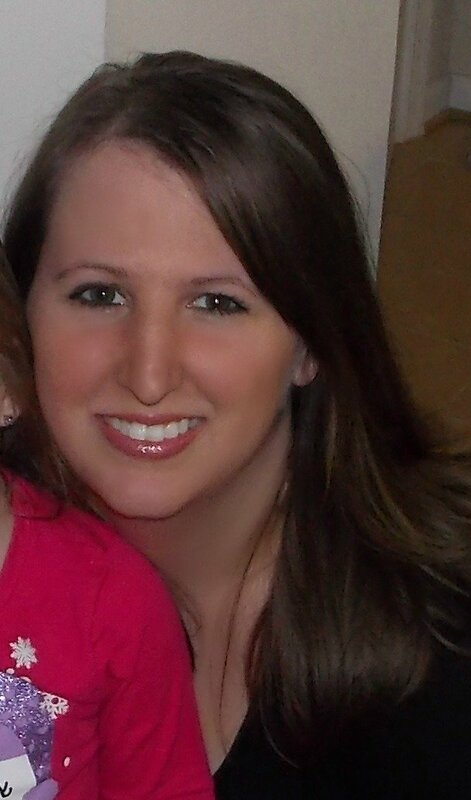 Use for dress up or display for a fun accent. 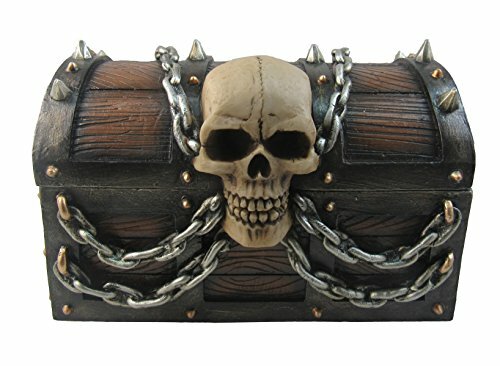 I am loving this Pirates Booty Treasure Chest Trinket Storage Jewelry Box it is so unique and fun. 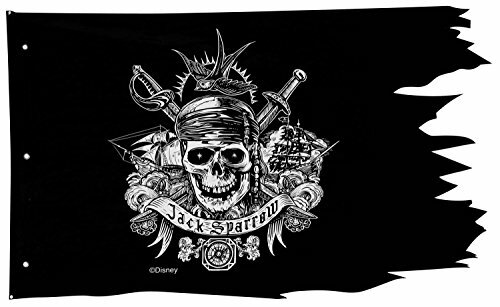 Ever wanted to fly a pirate flag? 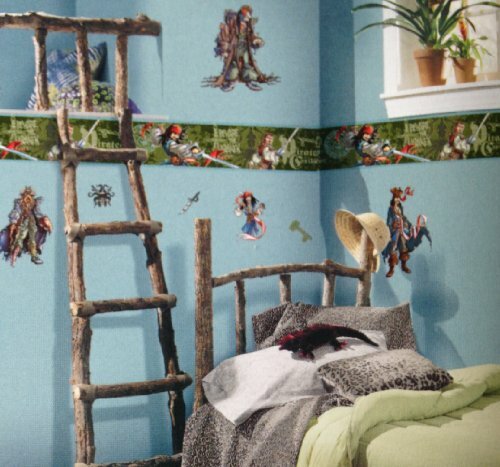 This Disney Pirates of the Caribbean Pirate Flag Wall Decoration is perfect for a kids room or man cave. Do you buy a Christmas ornament every year? 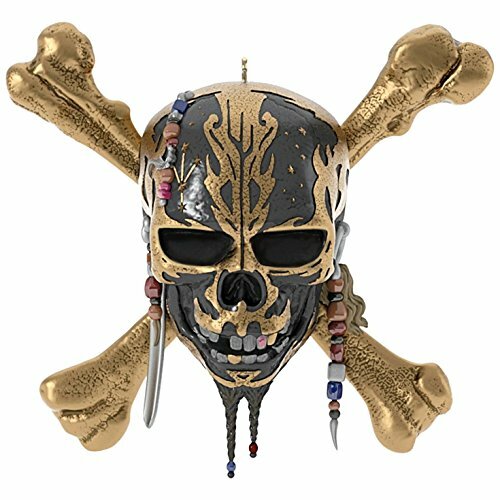 Carry on the tradition with this Pirates of the Caribbean Dead Men Tell No Tales Musical Christmas Ornament. 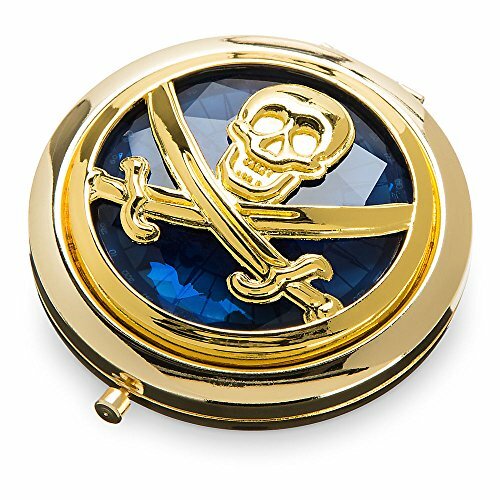 This Pirates of the Caribbean: Dead Men Tell No Tales Glass Compact Mirror is pretty cool and would be a fun addition to any handbag for a night on the town. 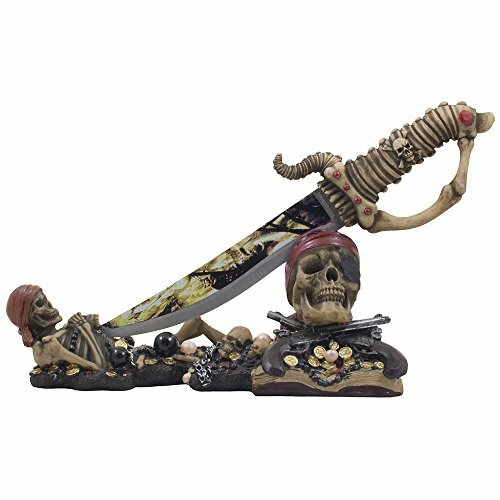 This Caribbean Skeleton Pirates Knife Display Stand Statue with Skull and Crossbones makes a fun spooky decoration for any Pirates fan. 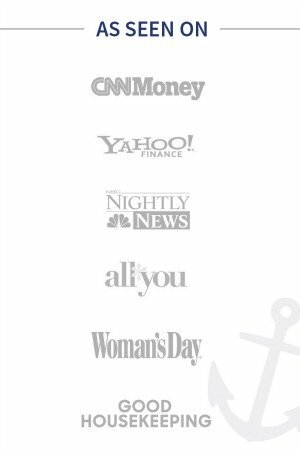 Ever wanted to sleep on a ship? 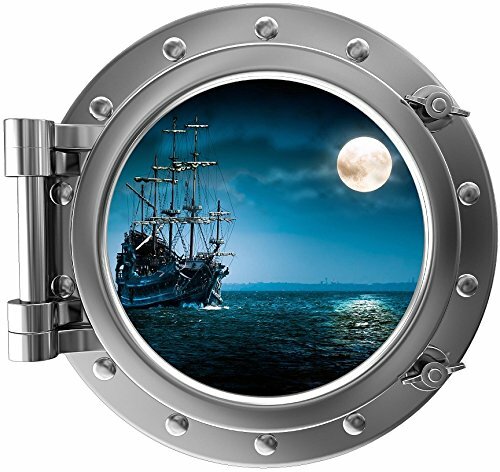 The pirate's fan will love looking out at this spooky pirate ship Porthole Wall Sticker wall decal in their room. 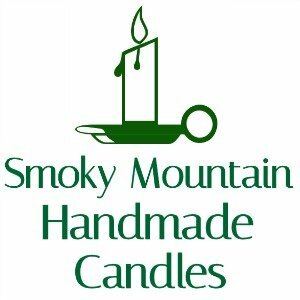 Have a hiker on your list? They will love taking this Hand Carved Wood Pirate Skull Skeleton Walking Stick out on the trail. 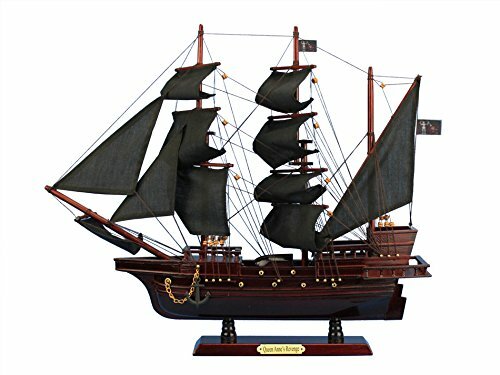 Oh this Blackbeards Queen Annes Revenge Model Ship is so cool for putting over the mantel or in an office. 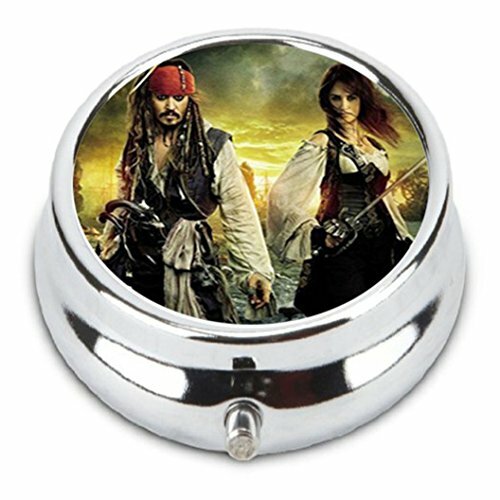 This Movie Pirates of the Caribbean Custom Fashion Pill Box Medicine Tablet Holder Organizer Case is perfect for small storage. 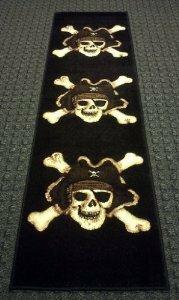 Kids would love to add this Pirate Runner Rug to their room by their bed. 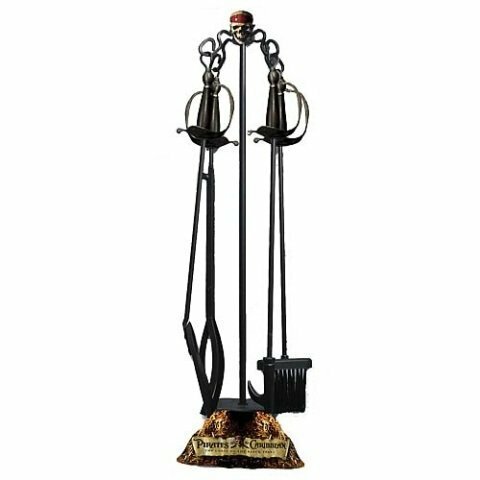 This Pirates of the Caribbean Fireplace Tools set will spice up even and artificial fireplace with a little pirate charm. 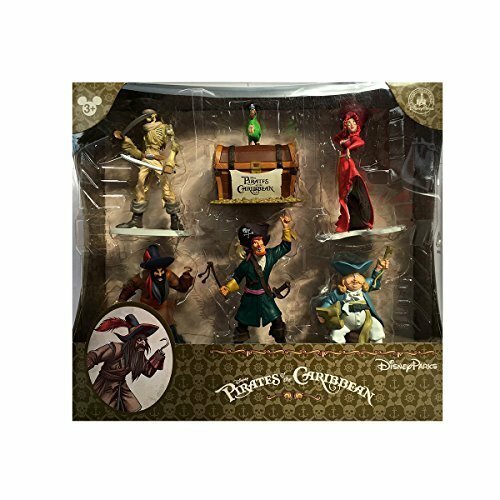 Thoughts on these Pirates of the Caribbean Gifts? 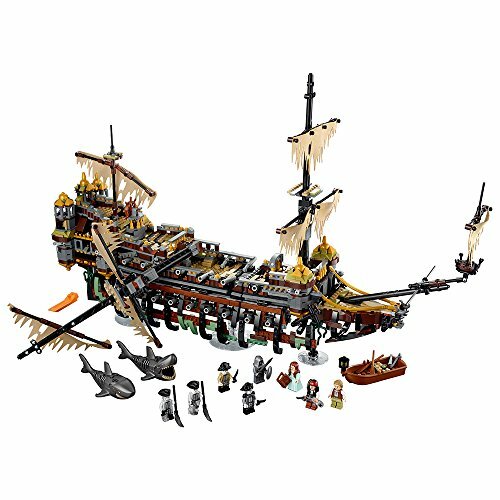 Make sure to check out our Ultimate List of the Best Holiday Gift Guides.